When the BBC reported on the French/US college named '42', which is build around the idea of peer learning, without the interference of teachers. This new educational initiative (and yes, I do choose 'educational' to be in the description) was once again propagated as a unique solution to education. Although I am not a product of traditional formal education, and I do acknowledge gaps in the formal education system, I also think there is no single educational or learning solution. This fits in with the idea that I do not think Human is the single species on earth, nor that Earth would be the single, life creating planet. Evolution is seldom based on single solutions, it is the complex and ever changing dynamic of different elements. MOOCs and 42 are not the solution for education, just as humans are not the solution for peace (clearly). It is a positive, engaging combination of elements that makes things happen, one where ethical considerations are discussed and used as guidelines for next steps, or - in case of nature's evolution - options are tested out in a natural equation that is aimed at keeping a balance, a mutual beneficial equilibrium. So at best, each element is a timely part of the overall equilibrium to move us forward, or simply to keep us moving. Admittedly this no-teacher solution does have benefits, as peers learn from each other, which increases problem based solutions, collaborative efforts... etcetera. Yes, this works for those reasons. But do have some side remarks: coding lends itself to peer-to-peer learning as it is already set up as Lego building blocks in many cases (not all, I admit). This means that although no teachers are present at that moment in time, others (which could be seen as teachers as they choose content, made combination of coding combinations) did provide the basic foundation. Having said this, this approach also risks of duplicating what exists (true, could also happen in traditional schools, but that is why philosophy is in many cases part of any curriculum to have the hope of critical field thinking triggered). Coding does not start from scratch, just like language... but critical thinking does review language (gender capital embedded in words, sayings that divide society...) and this should happen for the coding language as well, while it is coded. This enriching historical context is something that is not something you learn early on in life (exceptions noted). Which is why it is a real positive addition to any type of learning. The 42 college seems to work and I am honestly glad that it does. All initiatives resulting on getting more people educated get my vote. But I do hope there is room for a critical thinking influx that will enable critical thought. In the article Dan Butin already points out the benefits of having professors/teachers present to provide thought frameworks. But critical thought is necessary in all tech-oriented subjects, just like it is necessary in less-tech fields. Creating code, possibly adding algorithms, inside of Northern context made technologies to promote this coding... it risks to flatten diversity, which in the long-term slows down evolution. Or at least that what I think, but I admit I am trying to figure out how much diversity is good, and if there is such a thing as too much diversity. But still... any education and learning should at least try to be critical in order to at least ponder on possible effects of any chosen process. 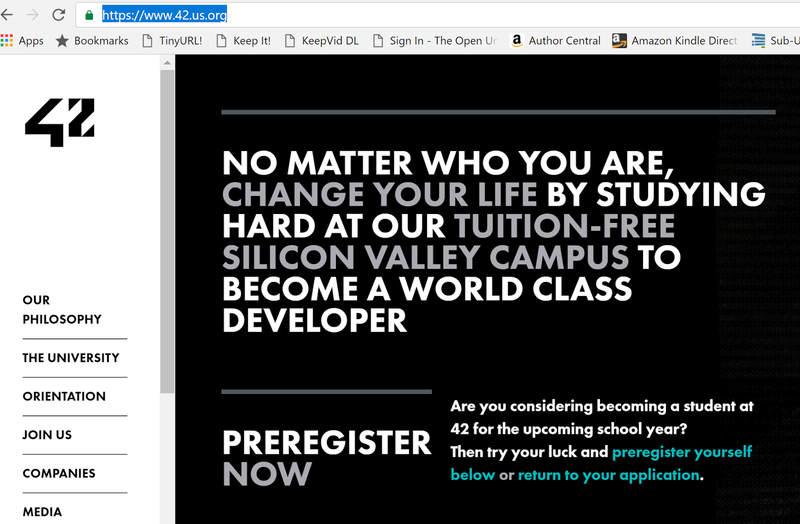 For those who wonder about the name of the college '42', it is a reference to forty two as being the answer to life, the universe and everything (according to the Hitchhiker's Guide to the Galaxy written by Douglas Adams). Education is an economic, political and social development and this idea and the problems this results in is tackled by research from Shahrzad Ardavani. 25% university students leave Iran: lack of jobs, superior research options, avoiding military service, candidates for suitable jobs in governments have to meet many non-professional related factors. But what is a MOOC and hat does it stand for? 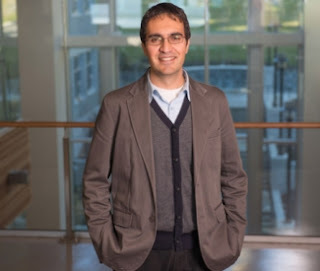 Can digital learning of MOOC be applied to Iran and other developing countries. What are the pedagogical problems? MOOCs might not be as efficient for students in developing countries, they cannot feel the benefit of MOOCs due to a number of issues. Both infrastructure , language, educational policy makers concerned with international influence of MOOCs on the national educational system, some websites are restricted (culture and politics). Independent thinking is not encouraged. Coursera has attracted volunteers to translate MOOCs. 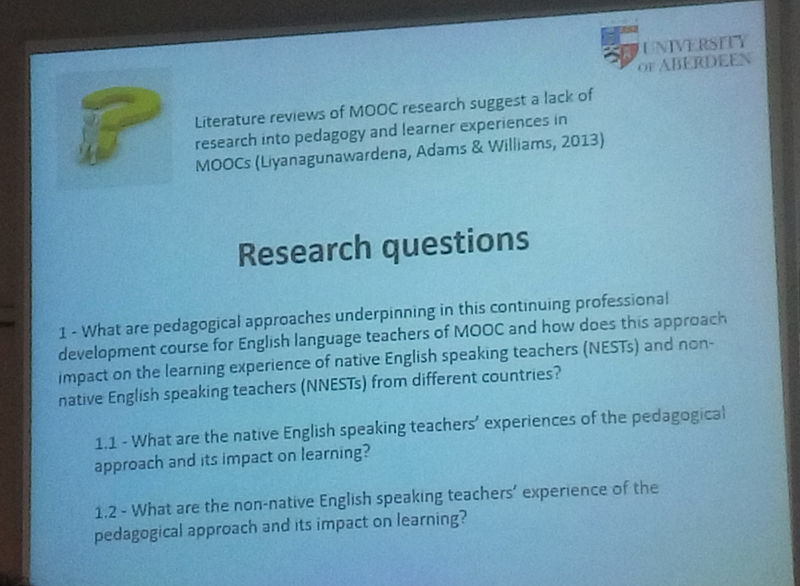 There are also problems from developing countries: ethos and pedagogic principles of MOOCs are aligned with the characteristics of educational terminology of their individual nation. The place where artefacts are being produced for FutureLearn overlooks barriers for global learners. The method of learning is different depending on the region, which is not always reflected in MOOCs. A western tool carries western assumptions, eg. The users are not always familiar with self-directed learning. Therefor it is difficult to translate the MOOC platform to developing countries, in order to address these issues. Symbiotic relationship: pedagogy of MOOCs looking at teaching approaches, disciplinary norms, the way learners interact within the course, participants learning culture. To investigate this, Engestrom’s activity theory (third generation) is being used, as it looks at the full system. It also allows a look at strength and weaknesses in a system. The project looks at FutureLearn, than compares native English students and Iranian students. To look at the differences between all elements. (Inge sent link on activity theory from Grainne you saw passing on FB). Fabulous critical talk on MOOCs by Janesh Sanzgiri. In 2013 MOOCs were suggested as the silicon valley salvation of education, including the developing world. But the reality is that most MOOC participants are not the underprivileged class, not really open anymore (movement to pay for assessment and so on). More importantly the current research is heavily skewed to Northern regions. The voice of the global south is being missed in research. In India MOOCs are used by 15% of Indian learners, MOOCs provided by North. NPTEL (http://nptel.ac.in/ )was first an OER platform. In India the most privileged universities put their content online in 2006, mostly stem and technology courses. Another Indian platform is SWAYAM (https://swayam.gov.in/Home ) a government initiative to support the remote universities with MOOCs for credit. In india lack of infrastructure, lack of university systems to cope with the demand for educators. Looking at MOOCs is a way to look at high quality formal education beyond the high brow universities, who do not have access to many high quality professors and institutes. Challenges for accreditation, up to 20% of all the credits can be done via SWAYAM. The western elite institutions create content for the global south. But the fact that many countries are providing MOOCs to create solutions within their country and educational challenges. Digital literacies and skills are needed for lower economic learners of these countries. Despite the increase of MOOCs, the South will work out solutions with supply and demand of MOOCs. MOOCs are not solving the poor and down trotted, therefor there is still the lowest layer of socio-economic society that is not reached, although more people are reached. Question why a lack of voices from the South? Answer: combination of issues, academic system in India is different, and journal issues (many Indian journals, but not always meeting the mark), global cohort is difficult to make transparent in terms of data, Indian MOOCs do not have access to the costly learning analytic options the North has. We are ready for implementations to augment our learning: iphone headphones, translation through earplugs… the augmented human is becoming a reality. Now AR/VR exhibition: transparent screens to look into a building, or any other landscape. Within a year this will happen. New tech can augment learning, but what are the educational possibilities and dangers of that. For instance: a company is selling monorean: to cheat on tests, wireless communication to cheat during exams. This mean it might disrupt education. 1963: a smart earpiece of a child with an earpiece going to Antarctica (extract of short stury by Brian Aldiss ‘the thing under the glacier). Already a neural controlled earpiece accessing the internet. Future Technology workshops: fun way to explore possibilities. A structured group method to systematically envirion and explore future technologies and activities. Vavoula & Sharples (2007). Exploreing what is happening at the moment, think about how these existing techs can be enhanced, then explore future options by thinking differently about them, finally looking at interactions with these future techs. Challenge: identify techs that might enhance and disrupt education in 2020. Pedagogy theory and practice of teaching, learning and assessment (built upon the NMR horizon reports, but looking further than only the technology). So same approach but focusing on pedagogy. Some pedagogies covered: rhizomatic learning, personal inquiry, flipped classroom, crossover learning, learning to learn, geo-learning, learning by storytelling, threshold concepts, bricolage. Crossover learning: how do you connect learning in the classroom with learning in a non-formal setting. First thing is to think about what is happening. How do the learning activities of informal and classroom learning differ in: initiation, support, goals, activities, outcomes? What are the benefits of connecting formal and informal learning? How can educational technologies support this pedagogy? Thinking about learning outside the classroom, reflective learning inside the classroom. Crossover learning example: MyArtSpace: explore, collect andshare. Learning between classroom, museum and home. Using mobile devices to collect evidence of what they were learning. Need: to make school museum visits more effective. Aim: connect learning in museums and classrooms. Change from worksheet exercises to inquiry led learning: giving a question to start from and ask the students to provide proof for answering the question. This involved editing the objects that the students brought back as well. This approach increased the student engagement with the museum (from 20 min to 90 min), and great engagement (website set up, collaborating). One challenge was for the museum staff, as their workload increased dramatically. So there is always the interaction between all parts of the system that needs to be taken into account. Having a new look at the groundbreaking paper of Meltzoff,Kuhl, Movellan, and Sejnowski (2009). Learning is supported by braincircuits that connect various thinking parts. Neural learning, computational learning, social learning, developmental learning, contextual and temporal learning. The brain can adjust at any given age, they have plasticity. Through engaging in the world we learn for future engagement. 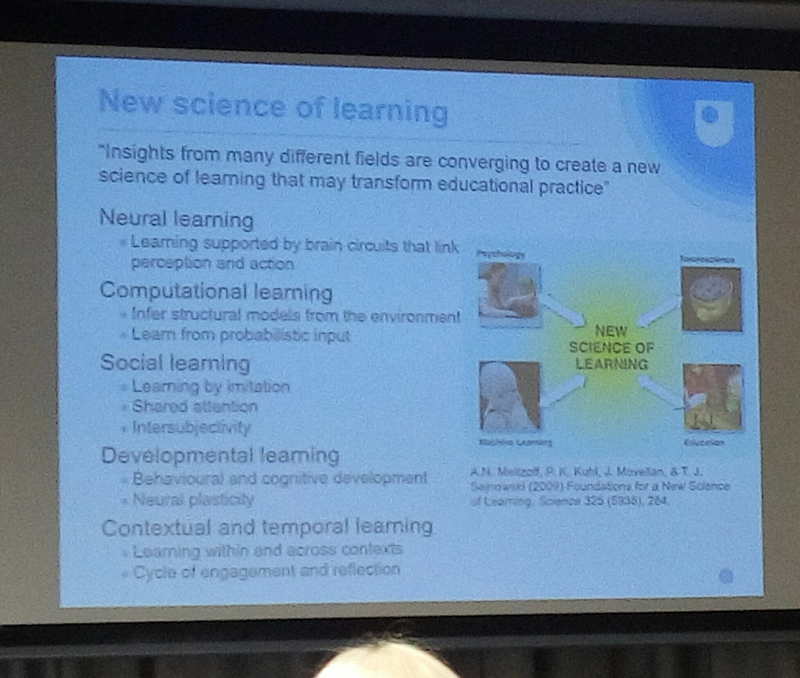 Spaced learning: what can we learn from neurology to look at optimal design for learning. DNA synthesis in the synapses of the brain. Three short learning episodes spaced by 10 minutes of physical activity (eg clay modelling). A Studies are now being repeated in 15 schools. Kelley, whatson (2013) making long-term memories in minutes in human neuroscience. Giving immediate feedback is successful for easy learning tasks. We understand new topics in the context of what we already know. Example: productive failure: learning by exploring complex problems. Lectures before learning sets limiting boundaries, while exploration opens learning. Explore first, than be instructed. Double loop organisational learning: setting up objectives and strategies for institutional change, with improved educational practices and feedback for agile development based on learning analytics. Example FutureLearn: social learning at massive scale, so looking at pedagogies that actually get better when learned by scale. Learning through conversation (productive conversations). The more peole who exchange ideas and perspectives, the better the effective learning happens. Designing learning with technology: look at Design-based research: in essence a series of design experiments, Whang, Hannafin (2008). Evaluating educational technology innovations: a serious investigation means multiple studies and multiple methodological approaches. Using an outcome measure that has nothing to do with the intervention under study can easily mask gaps or inconsistencies. Scalable and sustainable learning systemes beyond MOOCs, intelligent tutoring systems (a tutor for every learner), personalised and social learning at massive scale (how to combine dthe learning benefits of social and personal learning), orchestration outside the classroom (facilitating informal learning), liflong professional development (connecting learning in workplaces and classrooms), distributed accreditation (blockchain tech for education), formative analytics. Which future? The best way to predict the future is to invent it (Alan Kay). The overall take out is that a mix of approaches will give strong results. Jeremy Knox gave a philosophically interesting talk about the effects of MOOCs on education. For a in-depth information, have a look at his recently published wonderful book. What follows are liveblogging notes. How has the movement of cMOOC/xMOOCs impacted informal learning. This talk is on the emergence of MOOCs and their dominant forms, as well as suggest some new paradigms for MOOC learning (not new theories, but important movements and things that are happening and influence how we understand learning in the MOOC domain). 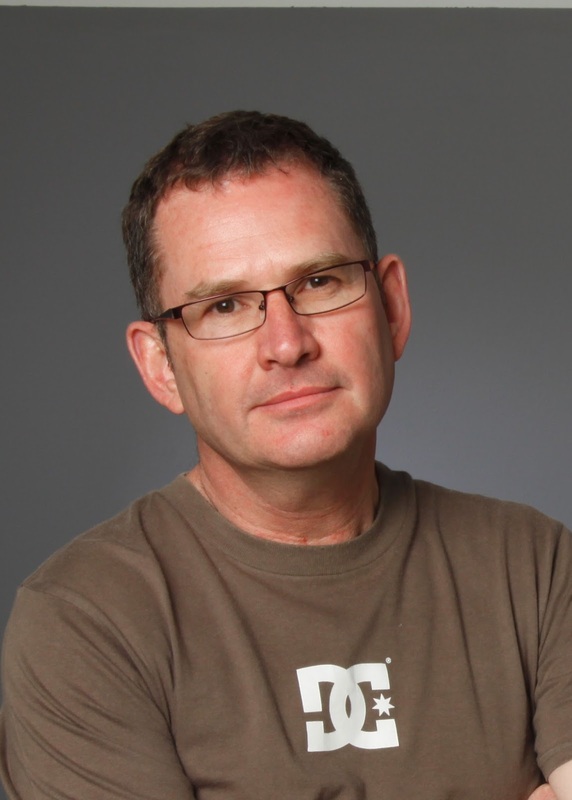 Looking back to the 2012 and 2013 where the media got interested in the rise of the MOOC. Promising a revolution of education, the future of Higher Education, which were provocative and aimed at bringing moocs into the main stream. One of the premises was “the online revolution, learning without limits” a quote from Daphne Koller at Stanford. Many advantages came from raising digital education into the mainstream of education. But at the same time the rise of the MOOC is a fact, MOOCs are here to stay. In the eLearning and digital cultures MOOC came up with embedding resources that were open and public. That evoked the idea of hybridMOOC (Bonnie Stewart). cMOOCs focused more on open and public web, self-directed study, process oriented. While xMOOC were more open in terms of free enrolment, free lectures, content oriented. The quality of the openness we saw in cMOOCs was about practicing learning and teaching in the open public realm. While xMOOC are open in terms of ‘free’ not really open in the open education idea. The Open Educational Resources movement comes from several regional initiatives, and influences the cMOOCs. The very idea of connectivism was on the idea of a network. A special visualisation of a cMOOC points to the learning that happens in a cMOOC, distributed knowledge and content. When looking at the different xMOOCs, we see for profit, to non-profit. This means that these MOOCs have a profit idea behind them as well. In contrast to the network model of connectivist MOOCs. 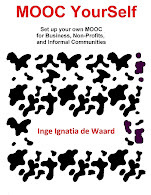 The xMOOCs have lots of fantastic moocs, but the reinstate the lecture. And the global North dominates the content and production, which is a different interpretation of what is open education. Martin Weller conveys the idea well in his The battle for open: how openness won and why it does not feel like a victory (Weller, 2014). Bonnie Stewart compared xMOOC to a trojan horse for open education. But there is more than the battle for open, that is a move from massive to spocs, specialisation (spocs) and learning analytics. There is a huge number of learners enrolled in MOOCs, so that is a good thing, learning is happening and it is more than we got in traditional education. The argument is that after the initial emergence of MOOCs, there was a move against the massive, and more towards community open online courses, so moving away of the massive. Harvard sees an interest in spocs, business idea. But this means that moocs return to the classic online or elearning courses. Coursera moves towards team moocs, or auto-cohorts: a new coursera does a kind of bus, once it is full of people it starts. So two options of managing class sizes. This means it goes back to what was. Specialisations of MOOCs: group mooc courses together, this sequencing enables certification. This specialisation initiative focuses on disciplines, this has an effect on humanities course, declining rapidly from 20% to 10% shifting distribution of these courses. Specialisations seem to focus on stem, business, data science and computer science. This means that the focus is shifting with specialisation. 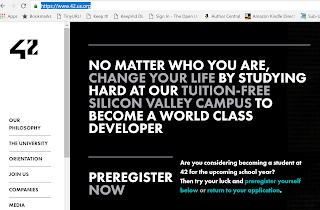 Similar to the turn that Udacity took to predominantly focus on these types of courses, not the humanities or other less tech-oriented courses. The need to profit will change the priorities and resources they put into moocs. MOOCs are also shaped by data or learning analytics. Content, interaction & communication, assessment… but what about the actual learning. And the quantifying participant behaviours, into categorise students into groups that are not necessary meaningful for learning. Data colonialism emerges, that what we are seeing with MOOCs is not a traditional colonialism, it is a drive to capture more data to make more judgements, new sensibilities are needed to make learning analytics less colonial. Question: what is the chance that we can reverse this new colonialist drive now using learning analytics to roll out this new type of education? Jeremy stays optimistic on the opportunities we can create, but this means we need to look at algorithms supporting learning analytics, look at the categories that are used and the effect it has. (inge remark: can we and do we equip global tech with the algorithms that can in fact try and reach education for all and equality for all? Even if we use the technologies as used in cmoocs e.g. twitter, FB… which are also part of the technological symbolic capital from the Northern regions). Jeremy mentions how the data analytics from global MOOC’rs were used to improve for on location students within Harvard and Stanford, so what is the actual benefit for a global group of learners? MOOCs are used as motivational device to attract on location students, preserve the authenticity of the institutes that provide MOOCs, which does not belittle the work teachers do or the work that learners do, but does speak against the global educational benefit that MOOCs said to achieve. 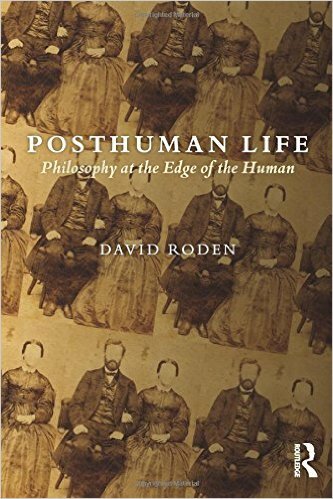 PRiME on posthumanism and the ethics of resilience by David Roden. The talk has two aims: views on posthumanism (situating his own position), and explore concepts on where resilience fits in with posthumanism. Wrote a book on posthuman life published in 2014. Sampling the diversity of posthumanism: Derida (the subject of human – writing – is part of the world). Every subject is connected or related to the system, never simple source of agency, it involves other agencies. Human as it stands in our subjective or real world. According to Harmon the big aberration of modern western philosophy is to be focusing on the relation of the human being in the world. So our idea of the world is the world as seen by a human subject, as such it is reduced to a single object. So where are we if we think of the world as not a human given world? Refers to How we became post-human: the impact of modern cybernetics and post-war sci-Fi and our conception of the human (Katherine Hayles). The human subject is never autonomous of the rest of the environment, and very politically narrow view of the human subject. James Ladyman and John Ross: philosophical naturalism if we want to find out about the world, we need to investigate the world empirically. Questioning the centrality of the human subject. David is interested in what comes after the human, the post-human? Wide descendants of current humans could cease to be human by virtue of a history of technological alteration. Speculative posthumanism. 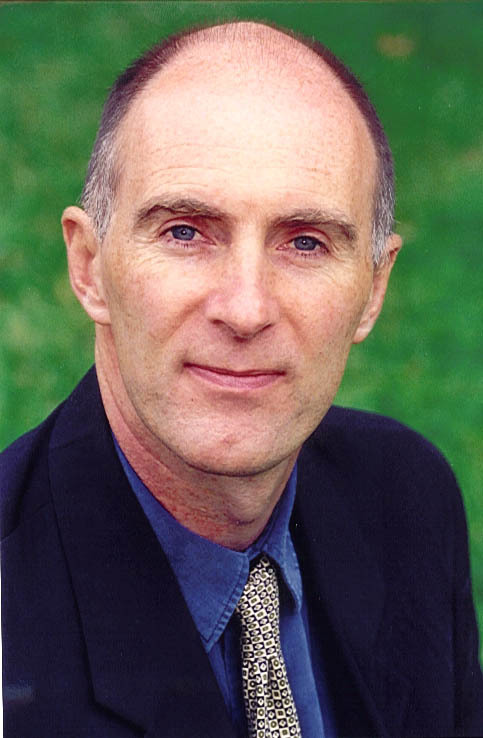 With wide descendants of humans, David means that we cannot make a simplistic distinction between biological humans and non-biological humans. All of these are part of the total environment, so in a sense one could say that a socio-technical network can also be seen as human (e.g. a ship, for it is build and used in a wider sense by humans). Post-human succession would be more than human, the wide human is an assemblage of both narrowly and widely human. This means that the disconnection thesis something becomes human when it has ceased to belong to the wide human as a result of a technical alteration. Or if it is a wide human descendant of a posthuman. So as soon as a robot can act autonomously from a human, it becomes a disconnect from the wide human. To take home: how does this relate to resilience. The ecological resilience is being able to adapt to changes in the environment. Adapt to contingencies as they arise. Anything that is a posthuman has got to be an agent of some kind. Our moral concern is that something that we make can discover their own morals, their own values. Ecological resilience is a form of autonomous adaptation, sometimes in cooperation with other entities. From an ethics points of view, it can be that resilience leads to hypermodernity that is continues functionally augmented, changing. This means we need to qualify the concept of resilience, otherwise we do not know what we are committing ourselves to from a posthuman perspective. This means there is something problematic to resilience and posthuman… but no answer yet. Question: relationship between ethics and resilience: you could say tuberculosis is resilient as it adapts, similar computer virus that sustains itself could be resilience. In what circumstances is resilience good or bad, and how can we link this to a human point of view? Answer: at a theoretical level it is not possible to do this. The only way to see what is bad or good, would be to actually make it… which also means that responsibility and accountability comes into the equation. This also applies to other resilient options we are making. Question: focus on technology and environment, but can contemporary concerns can also be linked to the past, the spiritual dimension and the supernatural dimension. That seems to me as non-human. Is this different, or are we in a different phase? Answer: one of the follow-up of melomancer, uses voodoo, so maybe there is a cross-over between posthuman discourse and the spiritual realm. We are surrounded by software entities that are making decisions autonomously from us, so in a way it is happening, and we do not know what the effect is on our environment. Question: consciousness an element of being human, that is something that can make the distinction. Answer: there is an important factor to consciousness, but do we know what that is? If not than it is not an option to use. Apart from animals having consciousness. Having consciousness does not tell us what consciousness is. compare it to swarm intelligence versus consciousness. Other ideas: systems thinking in all these cases, triage affecting reactions in terms of emergencies. A system that keeps itself in a working condition, these systems can only be maintained of all elements are kept active. Today I have the pleasure of attending the Posthuman Resilience in Major Emergencies (PRiME) networking event organised by the OU, UK. This is definitely a timely event as it launches a constructive idea exchange with regard to what we need to think about to enable societies to be resilient in case of major emergencies (natural and human disasters affecting small to big regions). The main aim of the workshop is to bring together researchers and stakeholders from a variety of fields within the future technologies area. The workshop focuses on emergency situations, particularly in major events and disasters, which in today’s connected world require sophisticated responses involving extraordinarily close collaboration between humans and technologies. 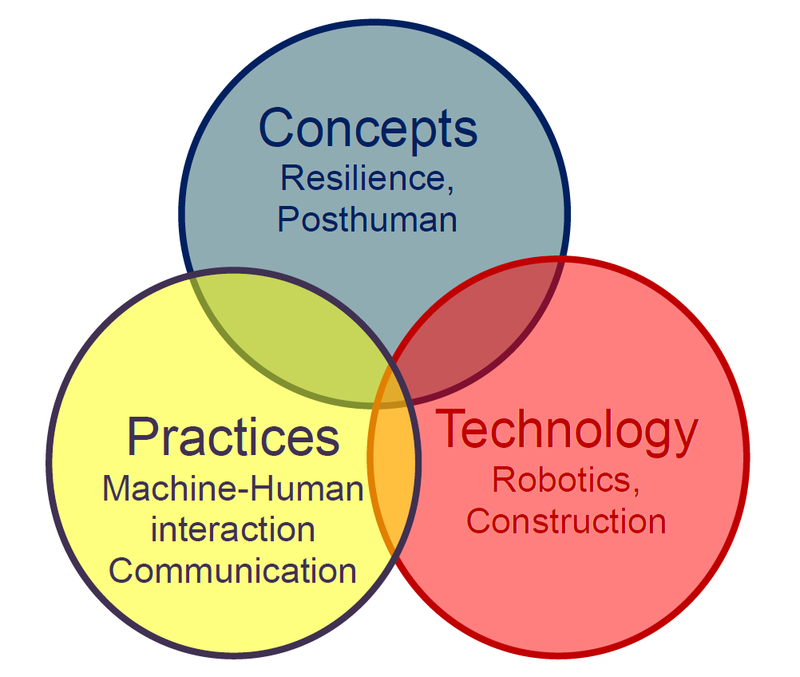 The concept of resilience has been identified as encapsulating a highly desirable characteristic of both humans and technologies in these settings. 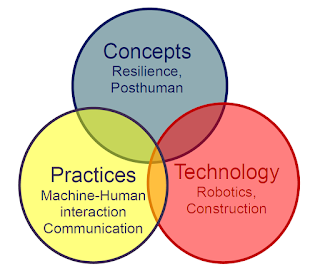 Although resilience has been the subject of extensive research in various academic and technical domains, it needs to be thoroughly re-examined in relation to the prospect of a post-human future, e.g. in 50 to 100 years, in which human capacities may be manipulated and radically enhanced. If you are interested in this challenge and have relevant ideas or expertise, you are invited to join us in our upcoming workshop where the concept of resilience will be a core aspect. A posthuman approach to resilience might analyse networks of which humans are only a part, or assemblages composed entirely of non-humans. It may involve applying abstract concepts of resilience to humans and nonhumans alike; or "pluralizing" the concept to acknowledge different ways in which things or subjects can exhibit resilience. It may explore the contribution of nonhuman actors to forms of stability traditionally viewed in human terms, or seek greater recognition of diverse interests in being resilient. The day is filled mostly by 30 min keynotes on posthumanism, resilience, human-machine interaction, communication, and robot technology. Resilience some info (came in a bit after start of first keynote, train travel). From Mars exploration, space technologies, self-riding rovers and cars. No external location info. Use AL mapping area and computer vision & cameras. Mapping the world in 3D, mapping where the rover is, and than plan. Energy is limited: solar power in combination with battery. Autonomous sensors will use battery power, the more watt’s used, the less energy for moving around. Sometimes cheap sensors can be used, but sometimes (e.g. challenges met) more expensive sensors need to be used. So what I tried is modeling the terrain and looking at which type of sensors can be used. Where the software is going to calculate which sensors can be used in terms of energy investment. Anyway mapping the way as it is explored. In a GPS void environment some mapping and exploration can be one, with additional energy saved. But mapping has it limits as the exact photograph taken will provide detailed information, but as soon as the video angle is different, different information will be given. So, how can different pictures ensure accurate information, build from different sensors. The mars technology is now used in tunnels, surveying tunnels and mapping them. VR, AR tech coming from the 3D models sent out from the tunnels, decreasing the risk for humans. But a major challenge is the data coming out of these 3D models. Too much information to calculate. Deep learning is an option, fueled by theoretical information, and lots of gaming industry feedback. Steep and rapid change, every 6 months giant leaps forward. Using AI to augment, improve and replace human actors. Current state of the art is changing so rapidly, that it exceeds information coming out (papers, tech…). Up to 2010 error rates were high, with deep learning, the errors have come down, and very complex images the machines are classifying better than human beings are doing; this can be used for any visual analysis at the moment and be used to looking for information of interest. Autonomous robotic for surveillance, that way minimize risk for humans and visualise or provide detailed information, plus dealing with problem of lots of data. Another big problem is the human-machine interaction, as the technology (now) does not understand the human communication. The interface to communicate with human/machine. A nice overview of early educational technology presented by Mike Sharples, the pedagogical lead of FutureLearn and longtime EdTech researcher. 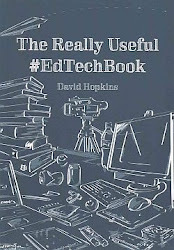 The focus of this talk is first on technology for education, followed by zooming in on the learning bit of the EdTech, and at the end a brief look at evaluating learning. One of the early Skinner linear behaviour teaching machines from the 1950's (with a link to FutureLearn remedial system). A first example of a touch screen multimedia EdTech from the 1960's (including a blueprint from 1966 that shows an approach to sequenced multimedia tele-education offerings as can be seen in most major MOOC platforms, instructivist pedagogy: inform, test, explain). A 1970's reference to the first AI driven tutorial machines (including the Dyna book, the inspiration of the tablet 40 years prior to the ipad; the Plato IV which was the forerunner of the one laptop per child idea - which also was the first network computer system), and also looking at Papert's first use of the logo programming for children idea to increase problem-solving skills (pdf of Mindstorms book). Interesting remark from Mike Sharples on Papert being dead against any guidance for children's learning, bit similar to what Sugata Mitra concluded from his Hole in the Wall project, illustrating the need for guidance to support exploration (done by children with technology). 1980's sees the launch of micro-computers (reference to BBC's first micro computer), commercial teaching coming in with multimedia personal computers. 1990's spread of online learning (VLE's, intelligent agents, integrated learning environments). 2000 search of mobile learning with contextual and seamless learning coming up (with a reference to handler, one of the first personal mobile learning devices, paper describing HandLeR here). After this first part of the talk, the focus shifts to old/new learning starting in 1990 to 2010. An important paper from Meltzoff, Kuhl, Movellan and Sejnowski (2009) describes the foundations for a new science for learning (pdf here). This paper is seen as a manifesto to see learning as a science, and no longer as a craft. It also brings together multiple disciplines that are all part of learning (neurology, machine learning, education, psychology). Looking at 3 important learning theories: John Dewey with instrumentalism (inquiry led learning), Yrjo Engestrom with expansive activity theory (socio-constructivist learning) and Gordon Pask with conversation theory (coming to know through conversation and mutual adjustment, and a nice reference to wikipedia as an example of conversational theory). 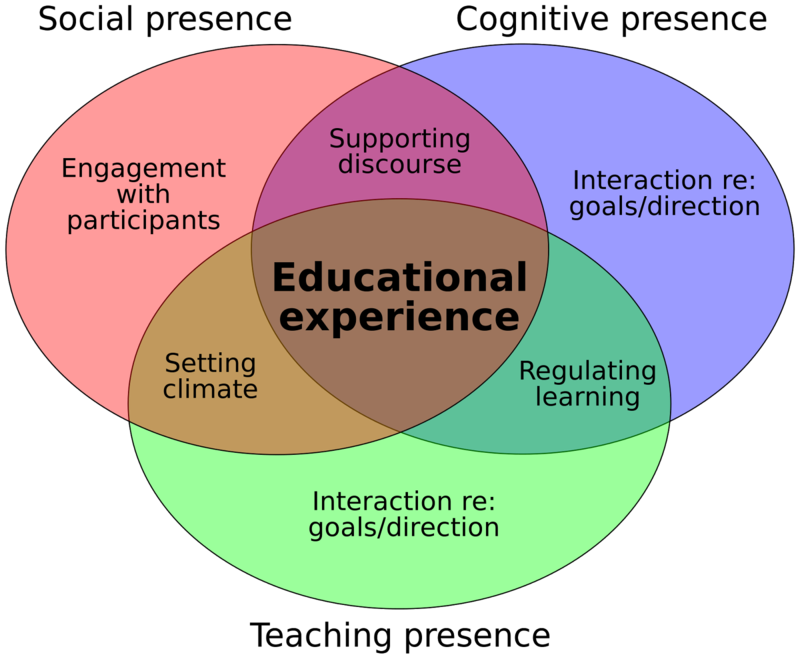 With a nice hint to the usefulness of the Experience and Education book by Dewey that you can use in almost any learning situation (pdf here). Part of the FutureLearn learning approach was based upon Pask's theory, which is why each bit of content in FutureLearn actually has an option to interact with others (or yourself) as part of a learning conversation. Visible learning by Hattie (more info here), Hattie used meta studies to look at the effect size (whether a learning intervention has an effect) of different factors coming out of around 800 studies. He concluded that if you can make learning more transparent, more visible, the learning will have more effect. Link to the video below, and there is an upcoming talk - a follow-up on this talk that will be given this Thursday (20 October 2016) at the OU, UK. Enough is enough! Let's reclaim common ground, let's reclaim our voice in society! These thoughts have been playing in my mind: why are academic voices hardly heard in contemporary societal debates? Why are there so many opinions, and so little facts? Why do we - as educators - promote lifelong learning, yet we are not reaching out to citizens in our own regions, nations, or across nations? The reason why I ask these questions, is because I feel that a social world populated with superficial opinions is a world susceptible to populism, dichotomy ... and ultimately a mentally impoverished society. If we do not take action, than how can we take our societal role seriously. We, as scientists, as academics, as teachers have a huge societal goal. I truly believe, that we - academics, educators, teachers - should start reclaiming our voice in society, in order to take back what we have lost: voices of reason, sound information (in all its nuanced diversity, not information delivered in black on white). In this presentation I make a first attempt to organise my thoughts on the need to reclaim our voice in society. Let ourselves be heard across media, across groups and communities, across generations... in order to regain common sense and argument. Question and answer session with editors, really great questions! 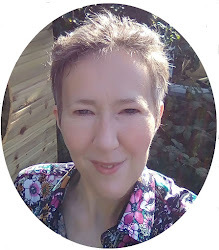 Question: Interesting question from Airina Volungeviciene whether the published research can be tagged in some way (like with xAPI or similar but than connected to bridge theory to practical) in order to see how applicable the research is, whether it is implemented and how. Some indicators to see the impact of science. No clear answer to that from the editors (Dianne Conrad, Jill Buban, Josep Duart, Som Naidu) (yet). I would like to see this happen, also in other areas. Aaron Silvers, what do you think would this be possible. Question from Marti Cleveland-Innes: increasing fear for reviewing articles, editing journals… how can this become more possible given the increased time shortage. And can you give a notion of who reviews your articles, how do you choose reviewers. 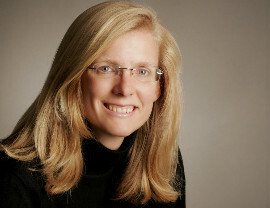 Answer: (Diane Conrad) you hit the nail on the head, it is a major fallacy of peer-review. We rate reviewers and than evaluate whether they can stay on as reviewer. We assign 4 reviewers to every article (in the hope 2 will respond). (Som Naidu): we are editors for our academic responsibility. And universities do not reward people for doing reviews! Academics might be given awards for that type of work. 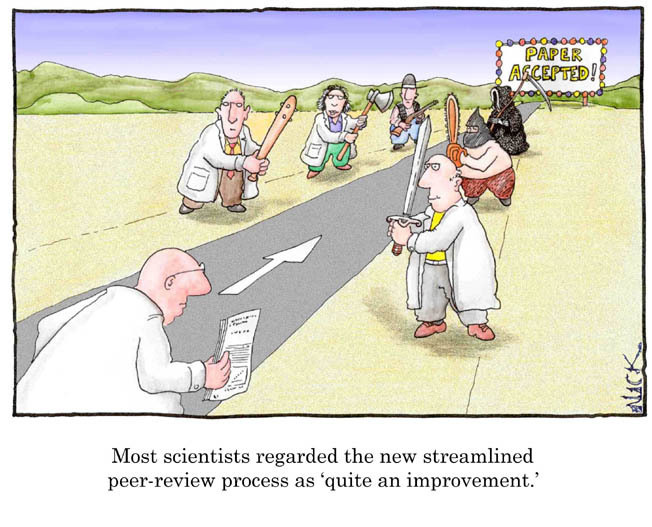 There is a process for each reviewer, and if reviewers do not respond than they come out. A full professor is the busiest, and they almost do not respond. So we choose reviewers who are early in their academic career. (Josep Duart). We collect as much information as possible in terms of their expertise, so we have a good profile of them as academics in their field. Question: George Veletsianos: could you give feedback to the authors on how to respond to ‘minor or major’ revisions. Answer: (Diane Conrad) it is upon the reviewer to make sensible comments that support the review suggestion. The feedback needs to provide support for the decision made by the reviewer. (Som Naidu) I look at the reports and filter them if they are too different before sending them to the author. And than provide the author with the option of what the author can do, making it possible to the author to enter into a constructive conversation. Turn it in is used, and its reports. Make an article understandable right from the abstracts. Abstracts should be written after the article, and be VERY precise, including the conclusions! If the research is old, probably not accepted, use up to date research. Do not republish, we have seen it before makes it unpublishable. There always are more opinions, and it can be depressing to see how different equal experts give different reviews and decisions. Each review is different, so as an editor I choose what goes out and what does not go out. If one decline is suggested by reviewers, I do not publish it. Some reviews are not up to snuff, so I do look over the reviewer comments. There are a lot of subjective components in the editorship. Great session focusing on Teacher presence (by MartiCleveland-Innes) and great idea of shared metacognition (by Randy Garrison). Related to the Community of Inquiry model. Marti Cleveland-Innes speaks on Community of Inquiry which can be used as a model for different educational settings, both digital and physical. Interesting idea of moving from teaching to teacher presence, where each one of us can be the teacher in a community. Context is changing, this means roles are changing. This is more about teaching and learning, making a transition like this can make a significant contribution to the higher educational reform. Student demographics will change, and with different characteristics. The employment factory demands different graduates (or with other skills). Pressure on higher ed is not about technology, it is a matrix and technology has an effect on the whole society. The pressure on higher ed is higher than at any other given moment in time. We are teaching students that are no longer living under the same conditions as when the educational institutes were set up. CoI is all about creating an educational experience, which can help us with some of the contemporary conditions and pressures. Drivers for higher education change: the ed institutes need to morph into the current challenges. We shall all be engaging and learning with others collaboratively. Teaching presence: the design and organisation , facilitation and direction of cognitive and social processes to realize personally meaningful and educationally worthwhile learning outcomes. The opportunities for students to participate in each of these components of teaching presence. We can empower the learners and engage them in a way that are meaningful to them. Facilitation is key… identifying areas of agreement and disagreement, guiding the class towards understanding, keep course participants engaged and participating in constructive dialogue, explor new concepts, reinforced the development of a sense of community. Direct instruction: focus discussion on relevant issues, help to understand strengths and weaknesses, provide feedback in a timely fashion. Teaching teaching presence: faculty needs to learn, and be given the opportunity to understand the learning. Learning how to teach is through teacher presence, by teaching. The CoI model serves as course design and delivery. 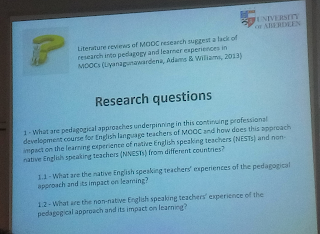 Pedagogy involves observing and modelling the online teaching practices of expert distance educators. A high-tech, high-touch approach provides the most effective means of assuring quality student learning and satisfaction. Translation into practice: critical to impact on higher ed reform is that students will be enabled to play a more active role (purposeful) and faculty realise this. Make students participate in teacher presence, in teaching. Sharing teaching is the most important part of the Community of Inquiry, as well as being emotionally present. Thinking and learning collaboratively. Metacognition is central to Inquiry. Regulating learning (between cognitive and teaching presence) is the situated area for metacognition. Goal of CoI is constructing another level of awareness. Explicitly recognizing co-regulating of metacognition, and individual as well as shared learning processes. Self- and co-regulated functions, each of which include monitoring and managing cognitive and teaching responsibilities. (Inge note: I realllly like this!!!). Shared metacognition. They did a construct validation pilot study, data from 167 participants, from a 54 item questionnaire. In the final questionnaire the elements were reduced from 54 to 26 items. Two factor solution analysis was used (looking it up), followed by a four factor analysis conducted to extract monitoring and management subcomponents. Big challenge to separate monitoring from management. Look up references from Garrison and Akyol (2011, 2013, 2015). Randy promotes shared metacognition as an interesting future research topic. The questionnaire was built coming from the CoI model. Now, I want to connect to Randy (remark from myself). Finally, I got to meet George Veletsianos (http://www.veletsianos.com/) and the pleasure of hearing his keynote liveblog from EDENRW9. open/social/digital scholarship: how does that influence each of our professional practice? But we as academics are not only online for professional reasons, we are also humans with lives... online. Digital residents (individuals that consider the web of part of their live), digital visitors (those who use the web to engage in a particular activity, more practical, less part of life). So different people use the web for different purposes in different ways. What: share information, collaborative authoring, post draft papers, author open textbooks, open teaching, public P&T materials, crowdsourcing... not always rewarded by the institutes for putting or working online, but the mindset is changing. Online participation is becoming more encouraged by institutes (opportunity). Institutions and academics are still looking at social media in different ways. Social media activities are rife with tensions, dilemmas, and conundrums. Academics filter their posts to cater to specific groups.... (inge remark: this also means less overlap is happening, so less potential stepping stones). Disclosures might be tactical: political, encouraging reflection (Veletsianos & Stewart, 2016). When institutions view social media with a functional perspective.. they become part of an audit culture, and a complex data assemblage that confronts the individual academic (burrows, 2012). So what does it mean to look at academic impact through social media (see paper on twitter). Isa Jahnke (http://www.isa-jahnke.com/ ) is an inspiring academic, and one who knows how to network. Who is using a device with internet access? That is cross action spaces… when you tweet content is used to link to other people in other spaces, to learn from. Human interaction is crossaction… multiple spaces. Conversations go from network to network to network. Humans connect across locations/spaces virtual or physical. This crossaction can also be done in classrooms. About 20 years ago, school was the place to learn. Now with these crossaction spaces learning is opened up from classrooms only. Learners apply classroom themes into the material world, in which they are living. So the outside comes into classroom and from classroom to other spaces. Learning is embedded in a bigger organisational framework. She investigated 64 classes to see where these classes were in the 5 layered framework. This position in the framework, enabled to identify where problems arose. The patterns provided meaningful interpretations into the inner/outer classroom actions. teacher teams from different departments work together and design a learning expedition and the students develop learning expeditions, learning by topic and not by the subject. Have a look at her book! Paul Prinsloo (https://www.linkedin.com/in/paul-prinsloo-226a8716) was looking particularly good this morning in his light blue jacket and his radiant presence. And what he said hit home! Really great presentation. Liveblogging what he said here. (@14prinsp ) slides on slideshare (http://www.slideshare.net/prinsp/the-increasing-impossibilities-of-justice-and-care-in-open-distance-learning ). Achieving justice and care was a concern from early on in distance education. Spending time and resources to take down barriers. AT this point in time, the opportunities for justice and care have grown over the years. On the other hand the impossibilities for justice and care have seen new challenges arise. Intergenerational weight, colonialism, … education is often seen as a key initiative to counter these. Yet, challenges arise against the belief that education and equality is possible. All of societies problems cannot be addressed or erased by education. Students need to be made aware of what education entails from the start to be able to attain access to higher education. Access to education is not enough. Ethics of care is essential to create equality. Government subsidies have tumbled while student numbers rose in South Africa. The amount of funding spend per students are decreasing (see slides). The problem lies in completion rates of undergraduate degrees, not only on completing individual courses. In DE there is still this grey area of not knowing where it will take us, what student success entails. Education is not broken, and technology cannot mend it. Paul believes advances in tech, AI, machine learning can address some of the challenges we face. But what are the conditions. Paul refers to the chatbot, a female chatbot to support students and answer their questions. AI can get awfully wrong. Can robot replace teachers? It does allow for some light relieve, but it might also endanger jobs. If we consider the role of AI, algorithms to change education, where equity, equality is reached, than what this imply: cost, access, quality and care. How do we talk about university care with top ranking of universities, the rankings increase marginalisation of knowing. Most of the people are still offline. See most recent report of the Worldbank (http://www.worldbank.org/en/publication/wdr2016 ). Can we increase access, maintain quality and address the issue of cost through implementation of these new techs? Student data is the contemporary greatness… our obsession with metrics turn academics/researchers into data drones. Students and surveillance. What could we learn of tracking everyone? How much more student data do we need to move to justice and care? How much is enough data to achieve justice and care? Will having access to more data answer challenges? Knowing more about our students does not, necessarily, result in understanding. Can we respond in appropriate ways? We need to realise that our digital lives are more than the clicks. Data does not exist without assumptions, data have contexts, and it impacts on the integraty of data. Knowing what is happening, does not say why things are happening. We do not even have the time to think about why it is happening. Biesta quote (in slides). We need to be careful with accountability and AI. HOw can we use algorithms to structure a learning journey, allocation of resources, addressing inter-generational disadvantage? Red-lining? What are the implications of tech to the justice and care for open distance learning to actually remove barriers and to reach more justice and care. People should know who makes algorithms, what it implies, to question conclusions, to have access, to opting out or in, to keep ethical oversight of all these possibilities.